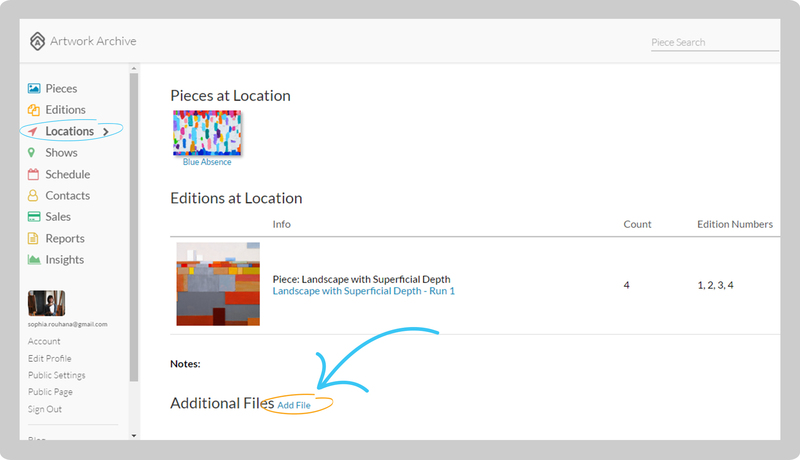 Keep track of any additional files related to Pieces, Locations, and Contacts by uploading them to Artwork Archive. Click on Pieces in the left-hand menu. 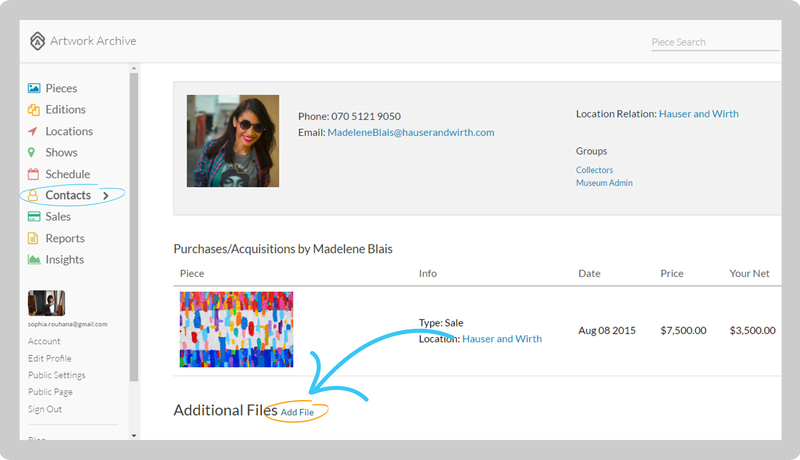 Select the Piece for which you want to add an additional document and click on the blue Add File next to Additional Files at the bottom of the right-hand column. Click on the grey Choose File button to download a file from your computer. Enter a Name for your document and any notes you want to record, and click Save File. Click on Locations in the left-hand menu. Select the Location for which you want to add an additional document. Scroll down to Additional Files at the bottom and click on the blue Add File. Click on the grey Choose File button to download a file from your computer. Enter a Name for your document and any notes you want to record, and click Save File. Click on Contacts in the left-hand menu. Select the Contact for which you want to add an additional document. 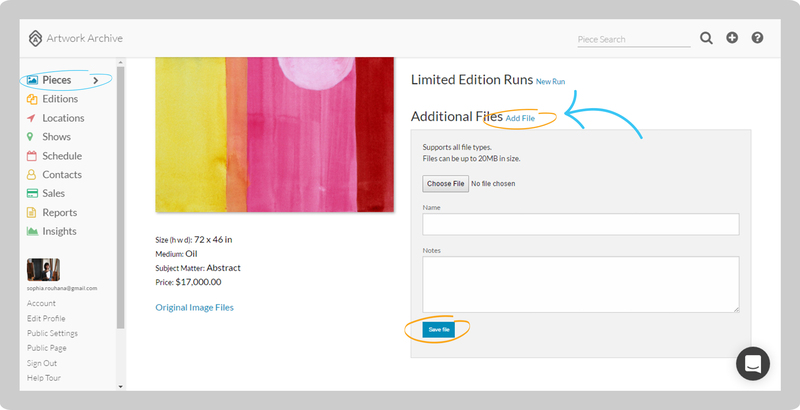 Scroll down to Additional Files at the bottom and click on the blue Add File. Click on the grey Choose File button to download a file from your computer. Enter a Name for your document and any notes you want to record, and click Save File. Still have questions? Watch this quick tutorial.